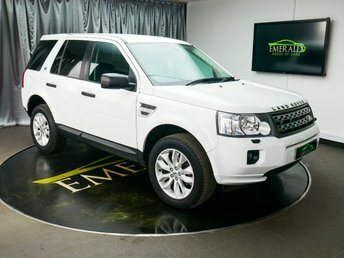 Located in Wednesbury, Emerald House of Cars has a vast selection of Land Rovers. At Emerald House of Cars we have something for everyone, whichever type of car you are looking for, and our team of finance advisers will make sure that you get a brilliant deal. Thanks to our associations with high-street lenders and top finance houses, we can offer exceptional value. Visit our base in Wednesbury, near Solihull and see what we can offer you. We guarantee that you will drive away with your new car happy.